For a long time I thought that Americano is something like infantile version of splendid Negroni. 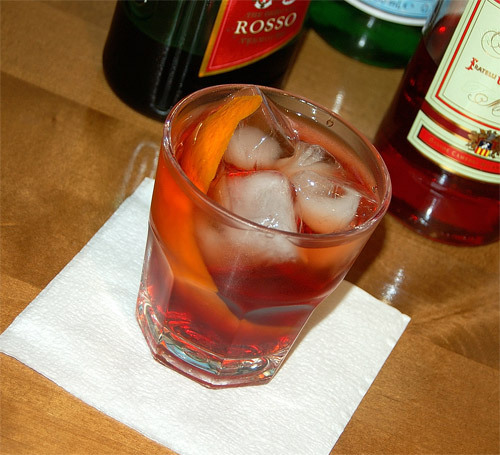 As a gin lover, I always preferred Negroni as Americano was a natural outsider for me. 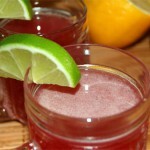 But summer comes, and it’s a time to switch over to lighter and more refreshing drinks. But I can’t imagine my cocktail life without Negroni, so I see gin exclusion as the only way to keep myself enjoying sophisticated mix of Campari and sweet vermouth. Last summer monstrous heat confirms my thoughts. Two months without single rain and with 35-40°C temperature in the Moscow megalopolis were very hard time to drink strong alcohol so sparkling bittersweet Americano was a salvation for me. Drinking Americano for a period of two months I’ve found (at last!) that I was totally wrong considering Americano just a version of Negroni. 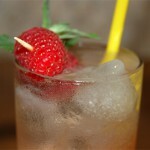 Without gin, the cocktail’s balance lies more on the sweet side. Campari is bitter but definitely it has some sweet notes in flavour. Being mixed with equal part of Italian vermouth, Campari develops its subtle sweetness. 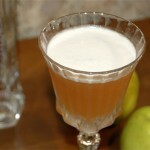 So in general the cocktail’s taste becomes sweet and spicy and herbal bitterness turns to just a bright tasty addition there. In my opinion, the main difference from Negroni here is a lack of dryness. I’m sure that’s not a disadvantage. Americano is just another cocktail with different flavour. Addicted to Negroni-styled Americano, I prefer to serve it in rocks glass filled with ice cubes as it’s suggested in old cocktail books by Harry Craddock and W.J. Tarling. But I think that orange aroma is suit Americano flavour much more than lemon. Add ingredients except soda water in a rocks glass half filled with ice cubes. Stir briefly to mix then add more ice and top with soda water. Stir once again, very carefully. Garnish with a large piece of orange zest. Delicate bitterness on the palate and on the background of aftertaste underlines vermouth’s wine sweetness as well as herbal spicy flavour. 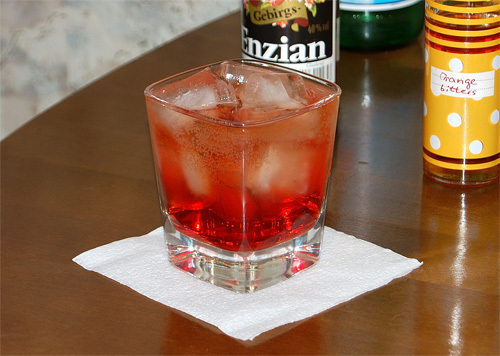 Thanks to bright Campari aroma, dominating sweetness loses some unpleasant heavy notes typical for Cinzano Rosso. 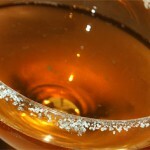 Also soda water brings additional lightness to the cocktail and helps to smooth the taste. 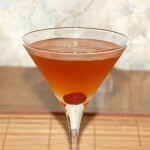 I love to adapt classic cocktails to my taste but in the case of Americano it seems stupid. The formula is perfectly balanced while ingredients replacements lead to making different cocktail and not to getting better taste. So my attempt was only in bringing little enhancement of bitter part of the cocktail. 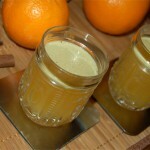 I just added small quantities of gentian-flavoured eau-de-vie and orange bitters. This version is for those who believe Americano to be a sweet drink. Here bitterness is much more appreciable as gentian successfully sharpens bitter aftertaste and adds some subtle silky dryness. Thanks to it, Campari moves to the front making the taste deeper and richer, more transparent and outlined. I don’t think that my tweaks bring real improvement but it definitely helps to balance excessively sweet and raw taste of Cinzano Rosso. 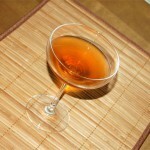 The original «Milano-Torino» recipe by Gaspare Campari calls for this vermouth while Craddock suggested Martini Rosso. In my opinion, sweet vermouths of both brands aren’t as good as Americano deserves so some tweaking will be good there.